Santana was originally signed by the New York Yankees as an amateur free agent in 1976 at the age of 18. 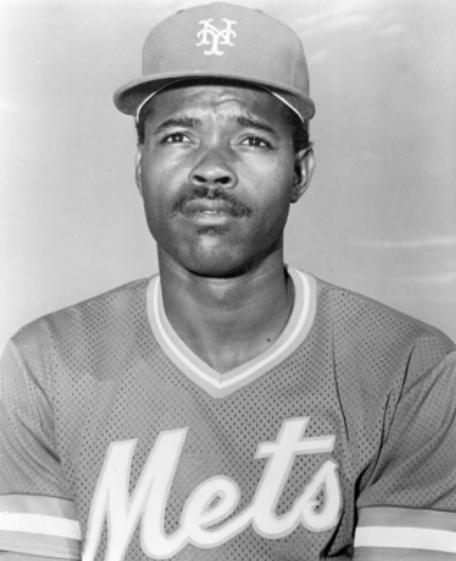 He played for Oneonta, Fort Lauderdale, and Nashville in the Yankees’ minor-league system from 1977 to 1980. His best year as a Yankee farmhand came in 1979 when he hit .263 in 133 games at Class-A Fort Lauderdale. He was traded by the Yankees to the Cardinals in February 1981 for a player to be named later, who turned out to be pitcher George Frazier. Santana played for 2½ years for Cardinals’ Double-A and Triple-A teams. His best season while in the St. Louis system came in 1982 with Louisville. He played in 121 games and hit .286, scored 65 runs and knocked in 53. He made only 11 errors in the field while splitting time at second base, shortstop, and third base. Santana made his major-league debut with the Cardinals on Opening Day 1983 against the Pittsburgh Pirates, going 0-for-1 in the game after entering as a late-inning defensive replacement in a 7-1 loss. He did not get much of a chance to play in St. Louis because Ozzie Smith was the Cardinals’ shortstop. After playing in just 30 of the Cardinals’ first 72 games, with only 17 plate appearances to show for his time, Santana was sent back to Triple-A Louisville, where he spent the balance of the season. Santana’s most productive hitting came in 1987 when he hit .255 with 5 home runs and knocked in 44 runs in 139 games. The Mets needed his glove in the lineup every day and got a little boost with his bat. The Mets, however, traded Santana in the offseason. The 1988 season found Santana across town playing for the Yankees after being traded for prospects Steve Frey, Phil Lombardi, and Darren Reed. The trade to the Yankees came because the Mets wanted to give Kevin Elster a chance to be the everyday shortstop. For Santana that meant no more everyday playing, so he was excited for the trade. Yankees manager Billy Martin wanted Santana because Wayne Tolleson was recovering from shoulder surgery. Santana was happy to be back with the Yankees organization as he had fond memories of his opportunity with the club. Recalling his days in the Yankees farm system, he said, “My locker was there, in that corner. I was just a kid, and it felt strange because it was my first time in a big-league camp. But I was happy to be here; to join all the guys and meet someone like Reggie Jackson.”8 Santana had one claim to fame that season as the Yankees made their playoff run. He was lifted for a pinch-hitter more times (40) than anyone else in the majors. Santana did prove durable for the Yankees, however, playing much of the season with bone chips in his elbow. In fact George Steinbrenner said, “I’d love to have Santana on my football team.”9 Unfortunately for Santana, he missed the entire 1989 season after having elbow surgery. After his playing career ended, Santana went into scouting and managing. His managing stints include the Azucareros del Este in the Dominican Republic (1992-93), the Single-A Winston-Salem Warthogs (2006), and the Double-A Birmingham Barons (2007). Santana’s managerial stint with the Warthogs was his first in the United States. His two years managing in the United States resulted in a .460 winning percentage in 278 games. Santana also spent four seasons coaching in the Kansas City Royals’ minor-league system. He joined the Boston Red Sox organization in 1996 and spent parts of three years overseeing their Dominican program and working as an infield instructor for their Class-A team in Lowell. 1. Anthony McCarron, “Where Are They Now: Rafael Santana,” New York Daily News, June 17, 2015. 2. Santana Player File, National Baseball Hall of Fame, Cooperstown, New York. 3. The Sporting News, February 25, 1985. 4. Craig Barnes, “Santana Mad About Surgery Prospects,” Sun-Sentinel (Fort Lauderdale, Florida), March 23, 1989. 5. “Santana Gives Mets Big Boost,” Ocala (Florida) Star Banner, April 18, 1985. 6. Tom Friend, “Padres Can’t Get Anybody Out,” Los Angeles Times, August 27, 1986; Santana Player File, National Baseball Hall of Fame. 7. Howard Burman, Season of Ghosts: The ’86 Mets and the Red Sox (Jefferson, North Carolina: McFarland Publishing, 2012), 260. 8. “Santana Still Loves New York,” The Day (New London, Connecticut), February 28, 1988. 9. “Stats Entertainment,” The Sporting Life, March 27, 1989; Ira Berkow, Summers at Shea (Chicago: Triumph Books, 2013). 10. “Met Shortstop Santana Traded to the Yankees,” Los Angeles Times, December 12, 1987; Craig Barnes, “Santana, Old City, New Home,” Sun-Sentinel (Fort Lauderdale, Florida), February 26, 1988. 11. “Barons Manager Not Returning,” Birmingham (Alabama) News, October 3, 2007; “Santana to Make Managerial Debut with the Warthogs,” oursportscentral.com/services/releases/?id=3259455, January 16, 2006. 12. James Warren, “Whistle-Blower Shows Courage at Center of White Sox Kickback Scheme,” New York Times, December 4, 2014. 13. Mitch Abramson, “Shortstop Rafael Santana a Quiet and Pivotal Piece of 1986 Mets,” New York Daily News, October 3, 2009; McCarron. ; milb.com/player/index.jsp?player_id=643519#/career/R/hitting/2014/ALL.